United Airlines has launched its premium economy class, with tickets on sale from December 3 for some flights as it starts the roll out of its new offering. United has joined many airlines in offering an upgraded experience for economy passengers, with Premium Plus flights available from March 30, 2019. The progressive roll out will see the service available on 21 international routes by the end of May. United EVP Andrew Nocella said premium economy provides passengers with additional options including some amenities from its United Polaris business class service. Premium Plus passengers will get free standard checked bags, premier access check-in and priority boarding. Discounted entrance to United Club locations will also be available for premium economy customers at some locations. 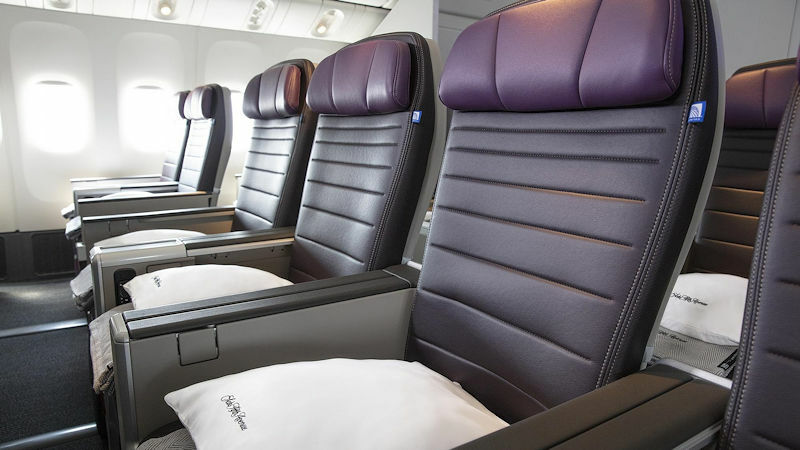 United previewed the new premium economy seats during the summer on some of its Boeing 777-200ER and 777-300ER aircraft, and the airline’s newly delivered 787-10s also have the new seats. From end March, some of United flights from Newark to Brussels, Frankfurt, Hong Kong, Mumbai, Paris, Tel Aviv and Tokyo; and San Francisco to Beijing, Frankfurt, Hong Kong, Taipei, Tel Aviv and Tokyo will feature the new service. Washington Dulles also gets a Brussels service with premium economy from March 30.